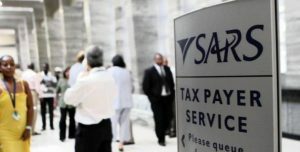 The South African Revenue Service (SARS) has warned of more raids in the coming weeks as more evidence emerges from various commissions of inquiry. The warning comes after the revenue collector raided the premises of African Global Operations, formerly known as Bosasa, on Friday afternoon. Reports say the revenue collector’s newly-established Illicit Economy Unit led the operation. Bosasa has applied for voluntary liquidation after FNB and Absa said it would sever ties with the company and told it to find a new financial partner by the end of the month. The company has been the centre of the Commission of Inquiry into State Capture, following allegation of impropriety, fraud and corruption. The post SARS warns of more raids appeared first on SABC News – Breaking news, special reports, world, business, sport coverage of all South African current events. Africa's news leader..
NEXT POST Next post: How does a vasectomy work and can it be reversed?